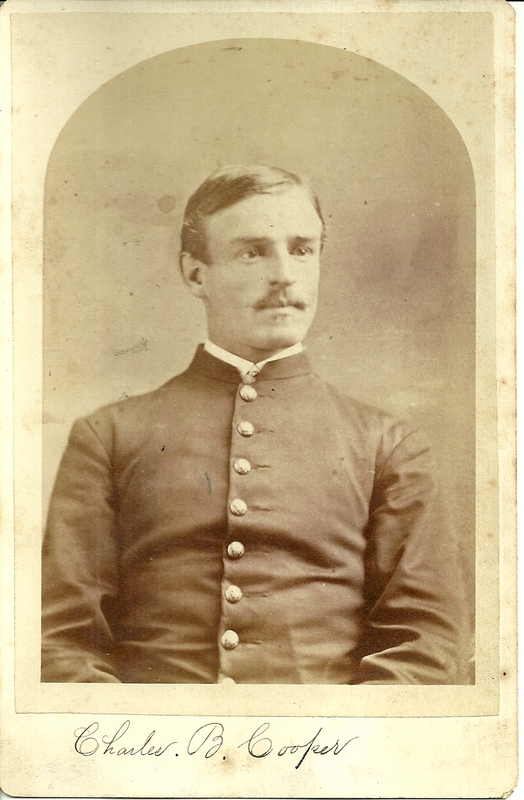 1874 photograph of Charles B. Cooper, in uniform, for presentation to Thomas F. Walsh. 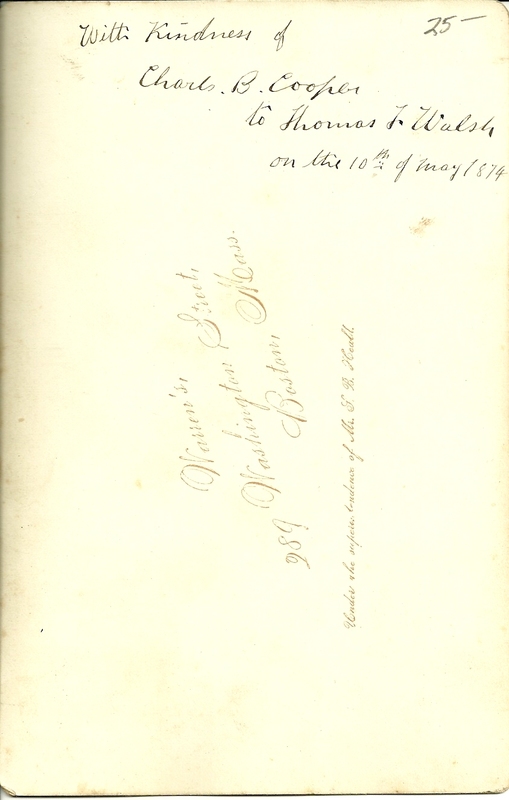 I'm assuming Thomas F. Walsh is the T. F. Walsh who was presented a photograph by Edwin McCormick in the previous post. Possibly these two men graduated or were attending the US Military Academy at West Point, though I haven't yet found evidence. 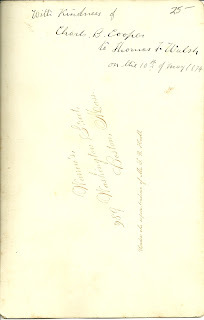 Charles B. Cooper's photograph was taken by Warren's Studio at 389 Washington Street, Boston, Massachusetts. If you have any information on Charles B. Cooper, Edwin McCormick or Thomas F. Walsh, please leave a comment.